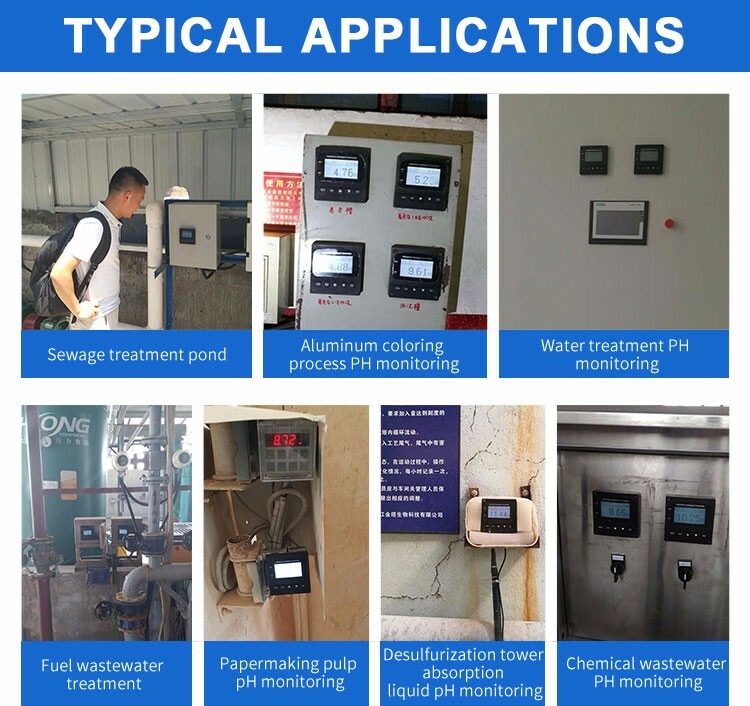 Applications: SUP-pH4.0 industrial pH meter is an online analyzer which applied in chemical industry metallurgy, environment protection, food, agricultrue and so on. With RS-485 can connect with computer to get data and recorder. SUP-pH4.0 Online pH/ORP meter is a true multivariable analyzer used for measuring/controlling the pH and ORP with different temperature. The function is switchable on the device itself. Depending on the measured variable, combination electrodes (e. g. pH sensors) or split versions (glass electrodes with a separate reference electrode) can be readily connected.